Okay, this is just one of those random moments when I can’t help but share something that I “discovered” with all of you :)! 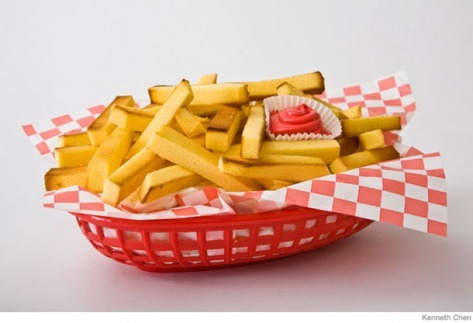 When I saw someone in my office eating what looked like a French fry with ketchup only to discover that it was a piece of pound cake with icing, I thought that it was such an awesome and creative way to serve a dessert! I know that many of you are mothers, so I was thinking that you might love this idea for your child’s next party :)! Check out the “how to” for this easy, peasy, lemon squeezy dessert on parenting.com here! My co-worker crinkle cut the pound cake and browned it in the broiler, so that the cake pieces looked even more fry-like!! 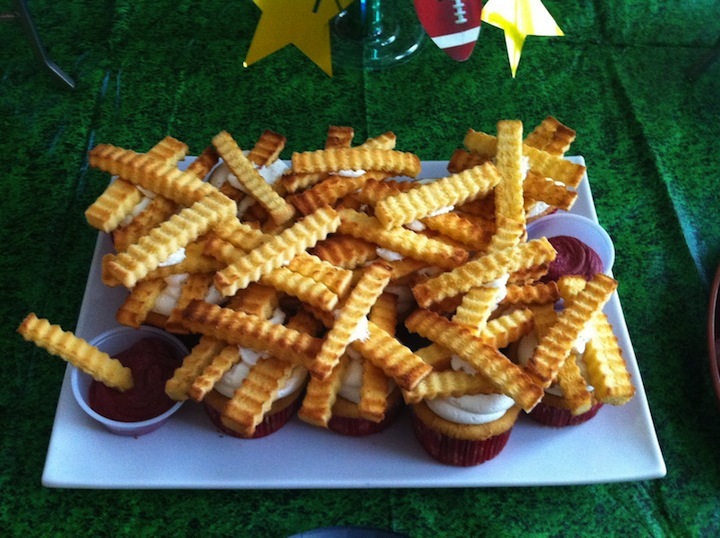 In fact, check out this version from JanRamonCakes where the crinkle cut “fries” top cupcakes!! Okay, enough of that, this is making me HUNGRY and CONFUSED!! Do I want salty fries or sweet cake?!? Okay, this nuts! I LOVE it. I wish I would’ve seen this before my son’s 2nd birthday. I WILL be trying this for something! This idea is really cute!!! I prefer salty first then sweet. Want to try this for the super bowl. that is seriously fun and wonderful and thank you for sharing!